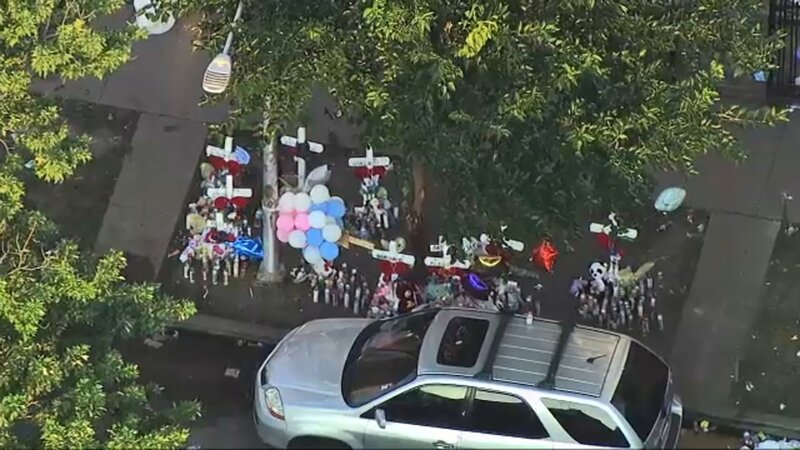 CHICAGO (WLS) -- Memorial services for six of the 10 children killed in a house fire in Little Village over the weekend were announced Thursday. Enlace Chicago, a community organization in Little Village, announced the services on their Facebook page. A memorial service for Nathan Contreras, Cesar Contreras, Xavier Contreras, Ariel Garcia and Amayah Almaraz, and Adrian Hernandez are scheduled for Saturday, Sept. 1, from 10 a.m. to 12 p.m. at the Church of Our Lady of Tepeyac at 2226 South Whipple Street. Funerals for the other four victims will take place next week. Enlace said it will announce the services that are open to the public according to the wishes of each family. Investigators have not determined the cause of the fatal fire. They said there was a smoke detector in the building but it was not working. The victims range in age from 16 years old to just three months old.